Hello Lovelies! I'm excited to share with you something fun and I think you'd find it rather interesting. 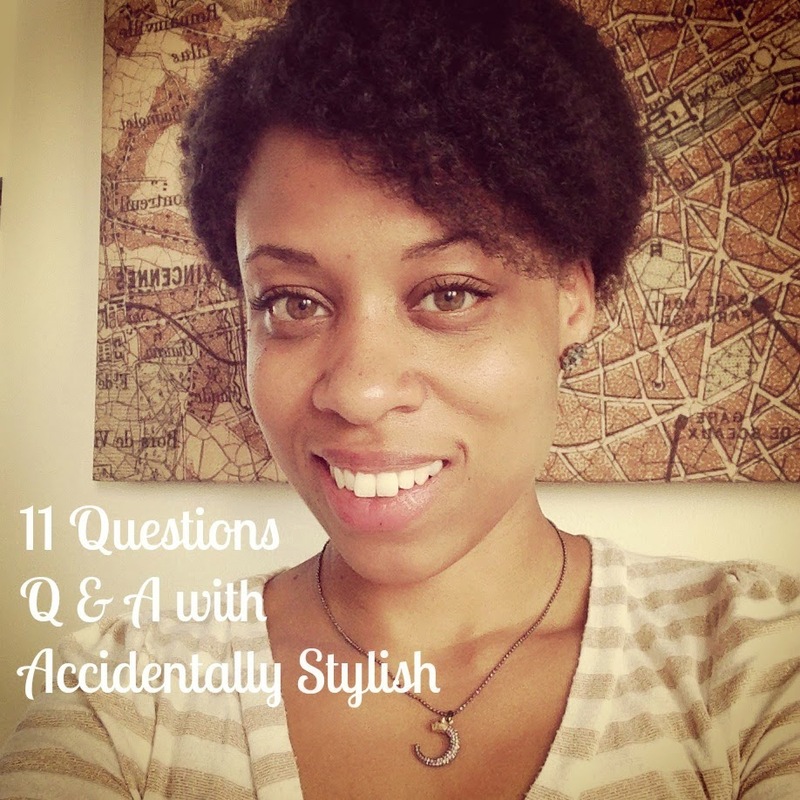 The lovely Chelle from Everyday Polish gave me the 11 Questions tag. Yup Ladies and Gents, this tag means I have to share some goodies about myself that I'm sure you have been itching to know. Then again maybe it's more so for me to know. This is my first tag so it may be a bit rusty, but I hope you enjoy reading my answers just as much as I enjoyed writing them. It's all about getting to know each other right? I agree!! So, let's begin. Blogging for me is a way to express my creativity and self expression in a way that I sometimes feel I can't do vocally. I love the feeling of putting words together and typing away on my laptop, getting the thoughts in my head out onto the screen. I also love the great people I meet through blogging such as other inspiring bloggers and my lovely readers! Yes I'm talking about you beautiful!! The last book I read was Insurgent, the second installment of the Divergent series by Veronica Roth. I am halfway through the last book, Allegiant and let me tell you I am rather impressed! I'm looking forward to the first film, but I hope they don't disappoint. I don't know, I guess there's nothing like the book. 4. Who is your dream lunch date? Uhhh......Hmmmm....Now that is a very good question. I really don't dream about having lunch with anyone in particular. Let me get back to you on that one. 5. What would your 15 year old self say if she could see your life now? I think she'd be surprised that I started a blog. I was pretty shy and kept to myself at 15 and lets admit it, I wasn't very...ummm let's just say stylish. I enjoyed trying new things but when it came to clothes I wasn't as daring to try new looks. Jeans and a T-shirt was about it for me, maybe the occasional dress. I always loved the arts though and I did do a bit of writing. She'd probably be shocked that my hair is natural now too. I find inspiration in a lot of things and people. For one, other bloggers inspire me to try new things and see things from a new perspective. Some of my favorites are Allergic to Vanilla, She is Red, etc. I also take inspiration from people watching. Not to sound all creepy crazy, but I like to sit in the park, in the mall, basically anywhere public and just watch how people go about their lives. Each and every one of us has our own unique way of doing things and sometimes that inspires me to look into myself and how I am living. Vibrant color, intricate patterns, and artistic movies that are developed with fabulous scenery get me going too. 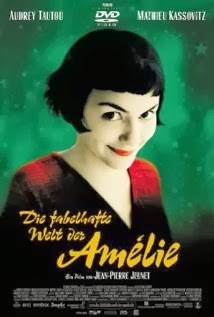 One of my absolute favorite films that embodies visually stunning scenes and music is Amelie. Though the dialogue is in French and you have to follow subtitles (which is actually not that difficult taking the fun storyline) the artistry of each scene is beautifully paired with music that leaves you thriving for more. I loved the soundtrack so much I actually used some of the songs for my wedding day. I'd highly recommend "Comptine D'un Autre Été: L'après Midi" for any bride who wants to walk down the aisle to a song a little less conventional. It truly is beautiful and it warms my heart every time I hear it. 7. What is one thing in your life you hope will be different one year from now? 8. What song ALWAYS makes you want to dance? "Sweet Disposition" by The Temper Trap makes me want to jump out my seat on the train and just start dancing up and down the aisle. No kidding, I'm totally serious about that. I must say every time I hear "Don't Stop Believing" by Journey, I just have to stop what I'm doing and sing. It's hilarious! I remember my family and I went out to a lounge in Atlanta a while back and it was starting to close for the night. The last song they played was "Don't Stop Believing" thinking that when people heard it they'd leave faster since it wasn't their style. Not me, I belted the song out and danced by myself. Yeeeeeeaaaaaaah...that song really does it for me. 9. What do you think is the key to success? 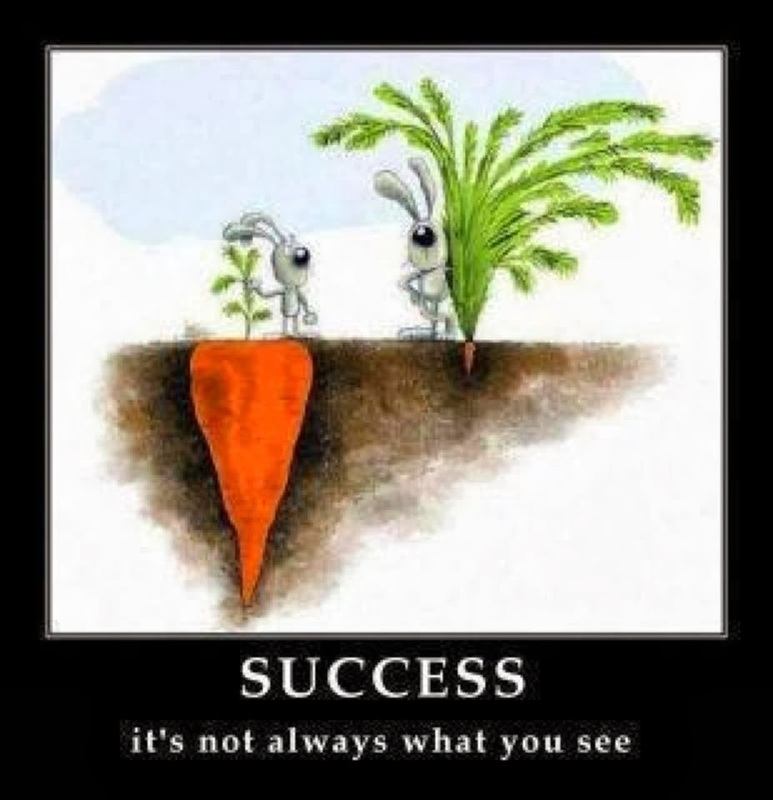 That all depends on a person's perception of success. Success is different for everyone but I guess for me the keys would be patience, diligence, prayer, prayer, and more prayer. By the way did I say prayer? 10. What advice are you glad you never took? That my husband and I weren't the "right" type of couple in high school by this one girl who shall not be named. Bet you she'd be surprised to see that we've been together for 14 years, married almost 7 years and have a beautiful daughter...just saying. In moments of my life I reflect to a quote that reminds me that I am unique. That no matter where I am in my life, it is not to be compared to another person to bring about self doubt. Let's face it when it comes down to it, no matter how great another person's life may seem, "You see the glory, but you don't know the story." - anonymous. 1. In comparison, are you a early bird or a night owl? 2. What makes your heart flutter every time you hear, smell, see, or taste it? 4. What motivates you in moments of doubt? 5. Do you act after giving extra thought or impulsively? 6. Would you live in a place other than where you live now and where? 7. What's your favorite season? 8. If you could travel back in time, when would that be? 10. What is one accessory you can't live without? 11. If you had a theme song, what would it be? I hope you enjoyed getting to know a bit more about me. Let's do this again sometime!! That is a really good quote and something that is so important to continually remind yourself. And I think that is so wonderful you are still with the man you loved in High School. I hope in 14 years I can say the same. Thanks LyddieGal! Yes it's kinda become a mantra for me. Thanks for reading! I love that quote! Thanks so much for playing along, I definitely feel like I know you a little better :) And I agree about the relationship advice, there have been many naysayers about my relationship but 6 years later I'm happy I didn't listen! Thanks for tagging me! I had a blast answering the questions and coming up with new ones! Thanks for reading!